August 19, 2010 -- KASU-FM’s Bluegrass Monday concert series presents award-winning bluegrass entertainer Valerie Smith and her band, Liberty Pike, tonight at 7 p.m. at Bluegrass Monday's new home, the Collins Theatre. The Collins Theatre is locat ed at 120 West Emerson Street, in downtown Paragould. ASU will (literally) pass the hat to collect money to pay the musicians, and the suggested donation is $5 per person. This concert is the first in the series to be held at the historic Collins Theatre. Constructed in 1925 and extensively renovated in recent years, the Collins Theatre has 543 seats, as well as state-of-the-art audio, video, and lighting systems. Valerie Smith's soulful, unique voice has delighted audiences at concerts across America, in Canada, the United Kingdom, and throughout Europe. Smith is the winner of multiple awards from the International Bluegrass Music Association (IBMA), and she has been nominated for IBMA Song Of The Year and Emerging Artist Of The Year awards. She has been nominated for Grammy and Dove awards and has recorded six CDs. Smith grew up in tiny Holt, Missouri, and now lives in Bell Buckle, Tennessee. She attended the University of Missouri Conservatory of Music in Kansas City, receiving a degree in vocal music education, which led to stints teaching music in schools. A chance encounter with old-time musicians Junior and Betty Parker led to pursuit of a career as a bluegrass artist. Valerie Smith's band, Liberty Pike, features acclaimed fiddler, songwriter, and vocalist Becky Buller. Buller is a native of southern Minnesota who began playing Suzuki method violin at age ten. At age thirteen, she joined her parents’ bluegrass band and was participating in fiddle contests, winning the Minnesota Junior Fiddling Championship. Buller graduated from East Tennessee State University, where she was an active participant in that institution’s acclaimed bluegrass and country music studies program. 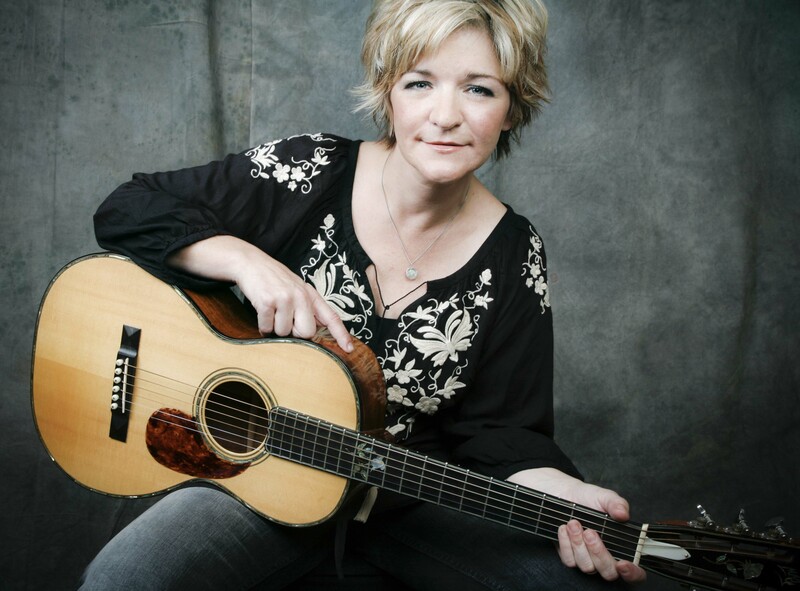 She has won multiple songwriting contests, and her songs have been recorded by bluegrass artists such as Rhonda Vincent, David Parmley, Mark Newton, IIIrd Tyme Out, and Doyle Lawson and Quicksilver. Recordings of her songs have also been hits on numerous bluegrass music airplay and sales charts. Buller has recorded two CDs of her own and has appeared as a guest artist on more than a dozen other releases. In addition to the concert by Valerie Smith and Liberty Pike at 7 p.m., area bluegrass musicians are invited to come to Terry’s Café, 201 South Pruett Street (one block east of the Collins Theatre) beginning at 5 p.m.for an open jam session. Musicians are asked to bring only acoustic instruments and to play only bluegrass music. The jam sessions will end promptly at 6:45 p.m. Terry’s Café will also be serving plate dinners beginning at 4:30 p.m. on the evenings of Bluegrass Monday concerts. Concessions will also be available at the Collins Theatre. Bluegrass Monday concerts are held on the fourth Monday night of each month. These concerts are presented with support from Phillips Funeral Home, Backbeat Music, Main Street Paragould, the Posey Peddler, the Northeast Arkansas Bluegrass Association, and KASU. KASU, 91.9 FM, is the 100,000 watt public broadcasting service of Arkansas State University in Jonesboro. For more information, contact KASU program director Marty Scarbrough at (870)972-2367. Visit Bluegrass Monday on Facebook and at MySpace.